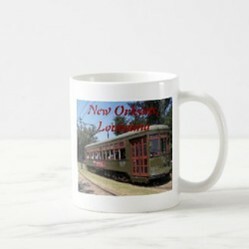 The New Orleans streetcars have been a part of the New Orleans area for many years. 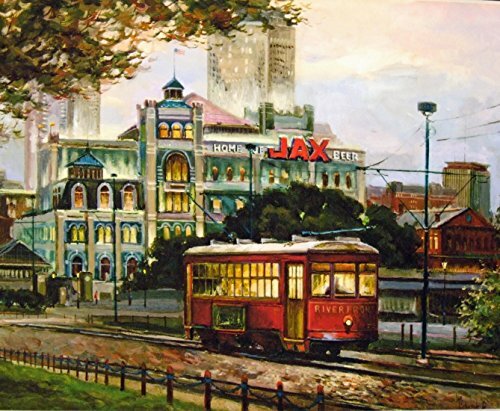 The streetcars had just two lines operating when I was young, the fifties. This article is devoted to the years I can personally recall. Over the years one of the two lines ceased operation, then was restored after many years. It now is joined by several new additional routes. What a visitor might not realize is there are older streetcars and newer streetcars. While either will convey a person to a destination, the older ones have the greater historical significance. Authentic older items have a greater charm than newer items. Streetcars once only came in green. Those were the ones I rode in the fifties. So, to have that true historical experience the green ones are the ones with the accurate look. The new red ones have a better eye appeal, but those do not have the same appearance. They are bright and shiny, the green ones are rather dull in comparison. 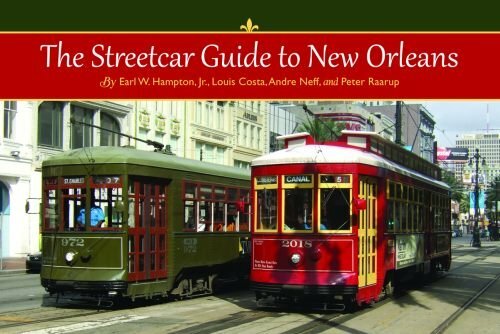 Streetcars run on tracks, although I have read they were preceded by carts that were pulled. The motors are electric, and above the tracks is a single bare wire that supplies electricity to the motor. The tracks are the ground for the circuit. A trolley is raised and attached to the tracks. Reversing a streetcar requires the trolley be pulled down, and a trolley at the other end of the vehicle be raised to the wire. This happens at the end of the line. Then, the streetcar uses a switch to move to a parallel track, with its own overhead wire. The front of the streetcar becomes the back, and the back becomes the front. Streetcars had four sets of doors, one on each side in the front and a similar set in the back. Only two would be used at a time. Most of the routes were on medians, called neutral grounds in New Orleans, a throwback to when a median separated people of different nationalities who did not get along. People board and exit on the side with the street. Streetcars have no horn, they clang a bell as a warning. Like trains, stopping unexpectedly is a problem, so streetcars usually have the right of way. They carry sand which can be released to add friction in an emergency, and cans of replacement sand can be easily found. Streetcars had two people in uniform when in operation. The operator stood in the center of the front, and drove the vehicle. The conductor stood in the rear and took the fare and dispensed transfers, small papers allowing a passenger to continue for the same fare on a connecting bus or streetcar. All boarding was done in the rear, and the front was the preferred exit point. The seats were arranged with long bench seating facing the aisle on both sides of the front and the rear. Seating between these benches that each held three people were double seats facing forward. At the end of the line the workers change position, and as they walked the aisle, they pulled small handles which caused the back of the forward-facing seats to move so the seat reversed its direction. The seats were polished wooded slats, so thickness and weight were of no concern. In the fifties the “screen” was still in use. It was a movable wooden sign that set in two holes in the back of a seat. This was to separate the races. The screen could never be placed past the last seat, nor ahead of the first seat. Straps and rails overhead were for those who could not sit, since more passengers than seats were often carried. A rope ran on the walls above the seats on both sides. This activated a buzzer when pulled, alerting the driver someone wanted to exit at the next stop. Small plastic holders were placed on the walls, with small “Rider’s Digest” reading material. 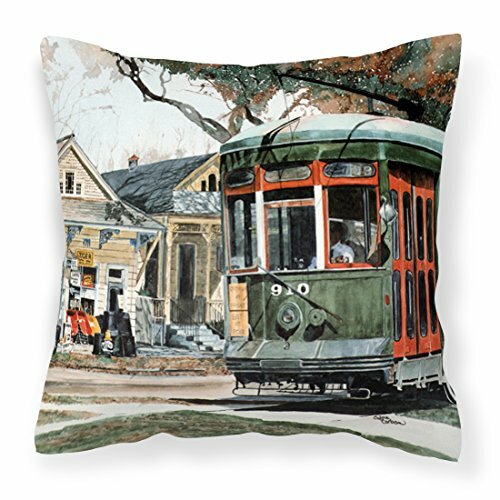 The Saint Charles Avenue line runs the length of Saint Charles Avenue, then turns onto Carrolton Avenue until it gets to Claiborne Avenue. Only the small section from Lee Circle, a traffic roundabout, to Canal Street does not have a median. Actually, the path to Canal Street is on Carondelet Street, and the return trip is on Saint Charles Avenue, a city block apart. These streets are one way in this area. 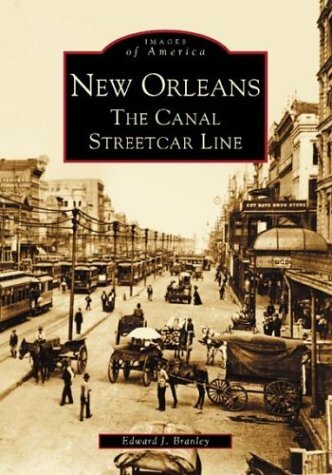 The Canal Street route, which was abandoned, then at great cost reestablished, runs the length of Canal Street. 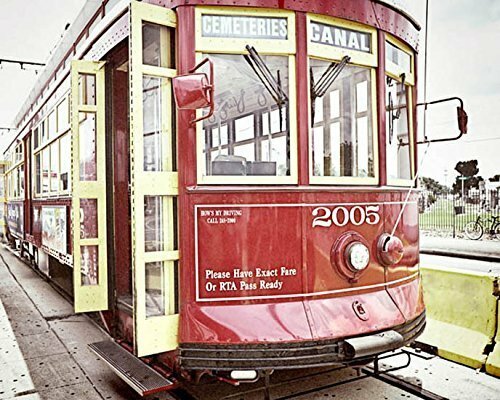 The new red streetcars run on the Riverfront line, which runs near the Mississippi River. There is no street for much of this route. 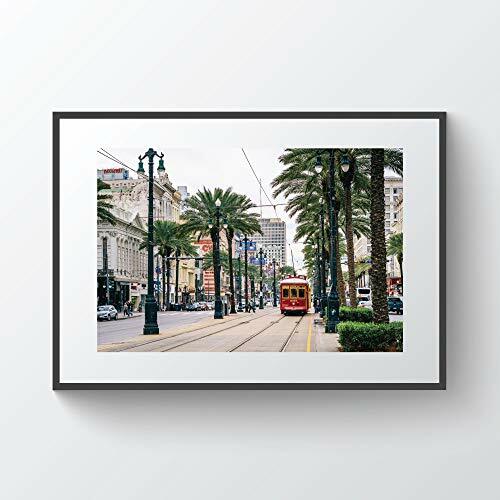 The Canal Street line has two spurs, one on Carrollton Avenue and one on Loyola Avenue. Note the two lines on Carrollton Avenue are on different parts of the avenue. This causes the Canal Street line to have both red and green streetcars. The green ones do not leave Canal Street, the red ones turn. 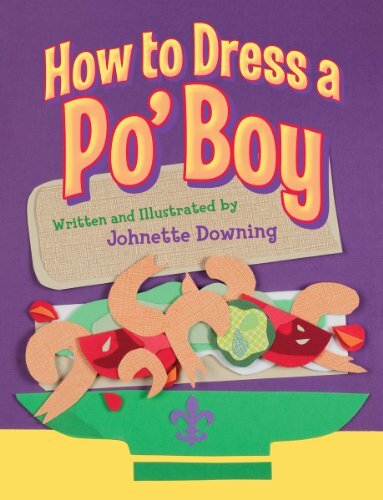 The famous PoBoy sandwich was invented of necessity due to a streetcar strike. The striking workers had little monetary resources, and a need to feed their families. So, a restaurant near the picket line took long loaves of bread, similar to French bread, and made sandwiches with the gravy and small bits of roast that broke off during cooking. These were sold for a very low price, and taken home to feed families of the striking workers. 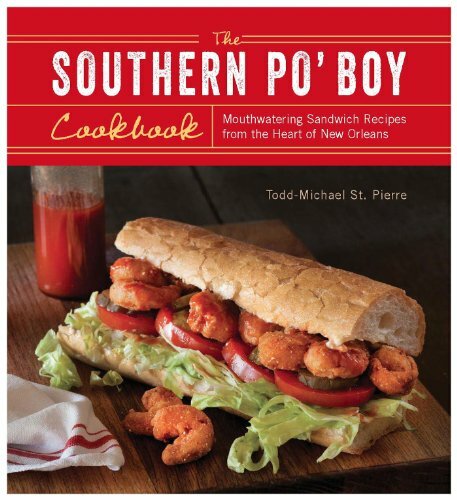 Now, the sandwich is still made on the traditional PoBoy bread, but they are filled with just about any meat or seafood you can imagine. When ordering a PoBoy sandwich one must ask, or perhaps be asked, for such things as lettuce, tomatoes, and pickles. Condiments may be matched to the sandwich or changed by the customer. 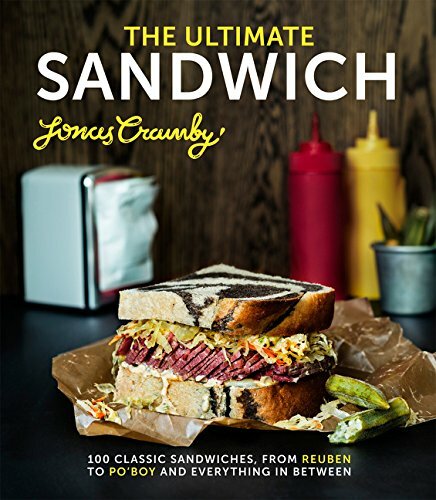 The local term is to have the sandwich dressed. The term is in such common use that I once asked if a hamburger was dressed while traveling, only to get a blank stare. They seem to be very popular with tourists. Having grown up with them it is common to see them. These streetcars are so beautiful! We have trams and trolleys in Bucharest too. Riding on trams is quite relaxing as they have many cars and they give a sense of space, given that they are never crowded. In the days of the screen, it only impacted seating. All entered at the rear, which was where the fare was collected. exiting was allowed at either end, but the incoming people were an obstacle to the exiting people in the rear, so most opted for the front. This area was more accepting than Alabama. blackspanielgallery, Thank you for the back-stories, front-stories and products. Are the interiors of the green comparably clean and comfortable to those of the red? In the days of the screens, did dark-skinned riders have to pay at the front, exit and then enter by a back entrance? Just this week, I watched the DVD of the 13th Doctor Who. Jodie Whittaker's Doctor went back in time to Alabama, where Rosa Parks and those deemed not white were shown paying the driver at the front, stepping outside and entering the rear by a separate door. They are like full size buses, and were used as such. The sounds are like riding a railroad. It is a pleasant experience. These streetcars look like mini bus. 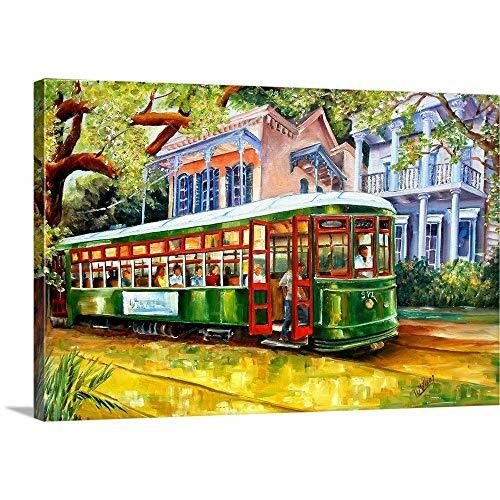 Love the old historical street cars and the wall art. Riding on the old ones is a unique experience. One can forget all the worries, sit and enjoy the slow rides across the town all day long, similar to a picnic.